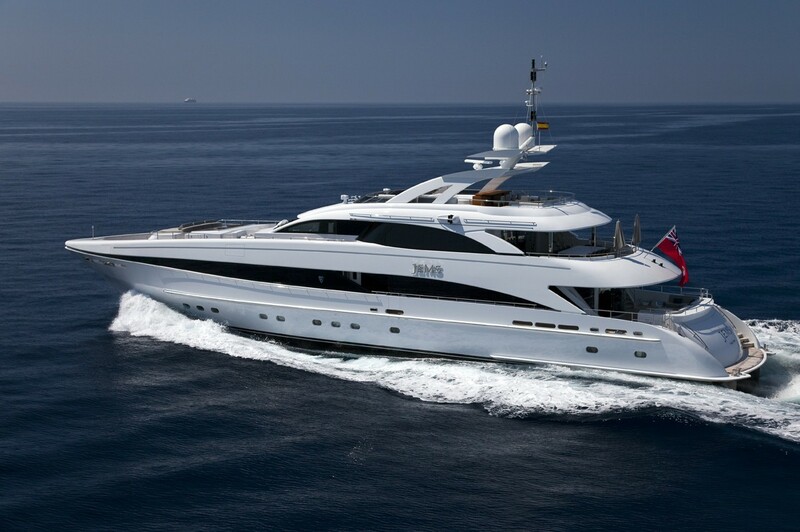 Motor yacht JEMS is a 2009 Aluminium Hessen Yachts 4400 yacht of 44 meters (144' 4") in length. 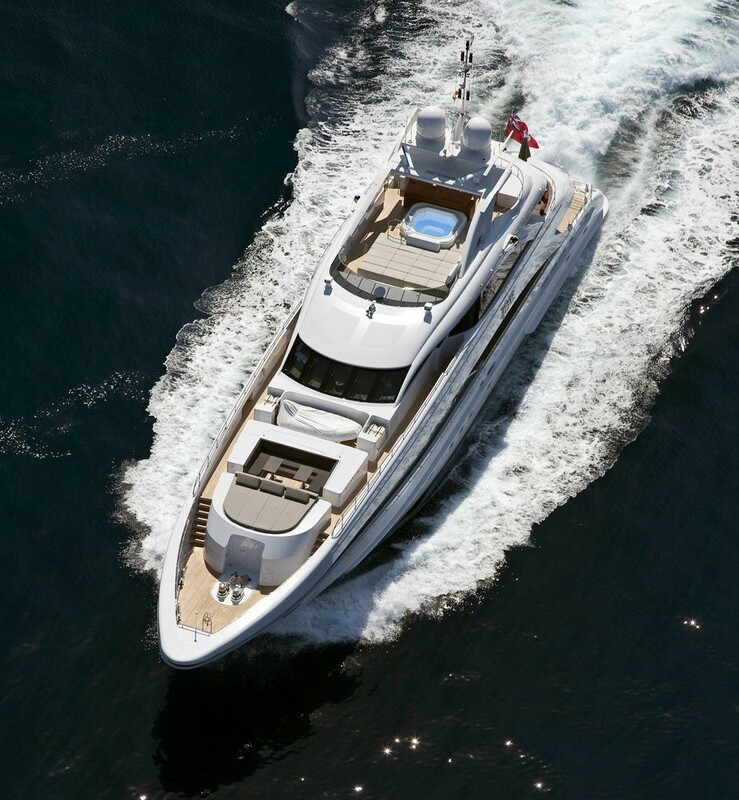 JEMS is a modern superyacht with clean lines, light and airy styling and a respectable turn of speed. 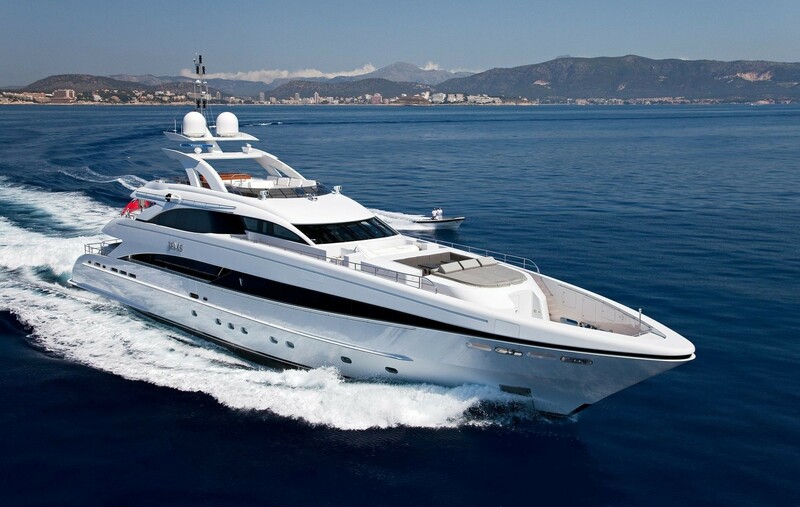 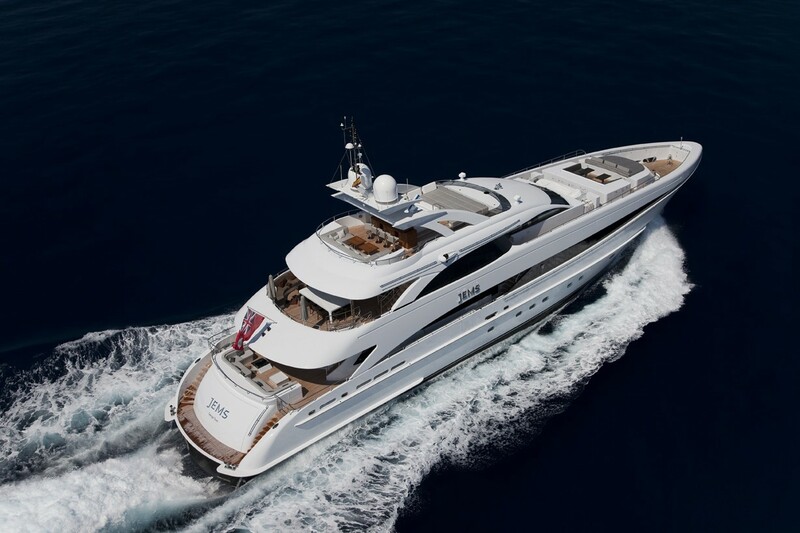 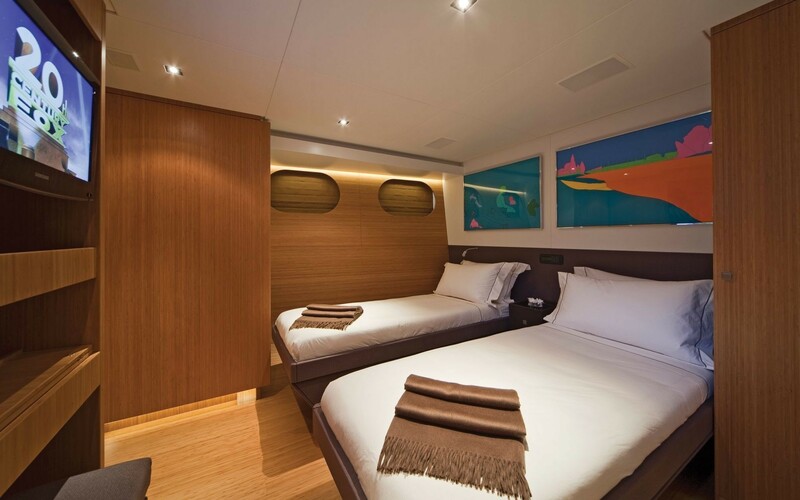 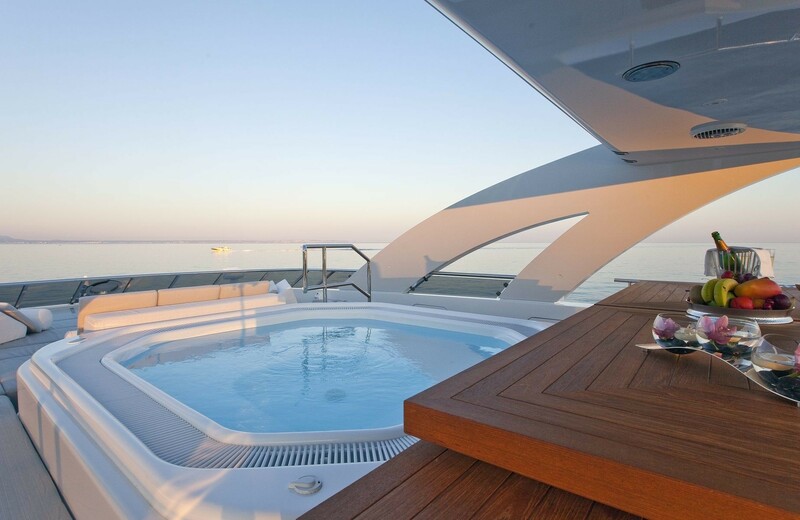 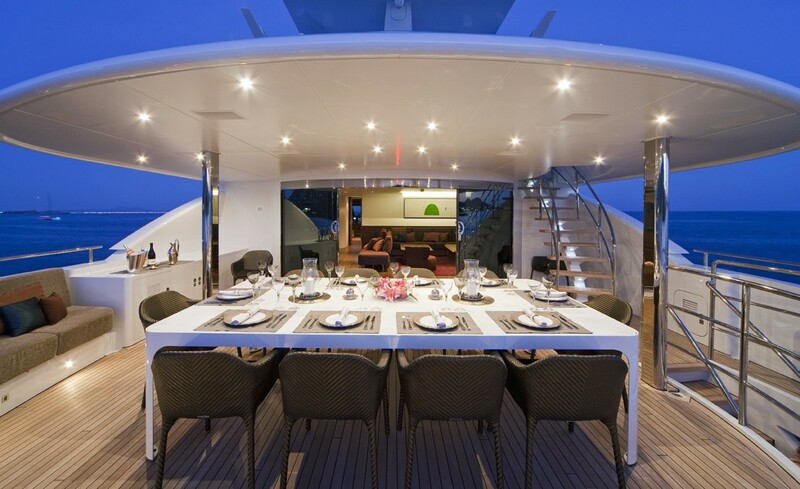 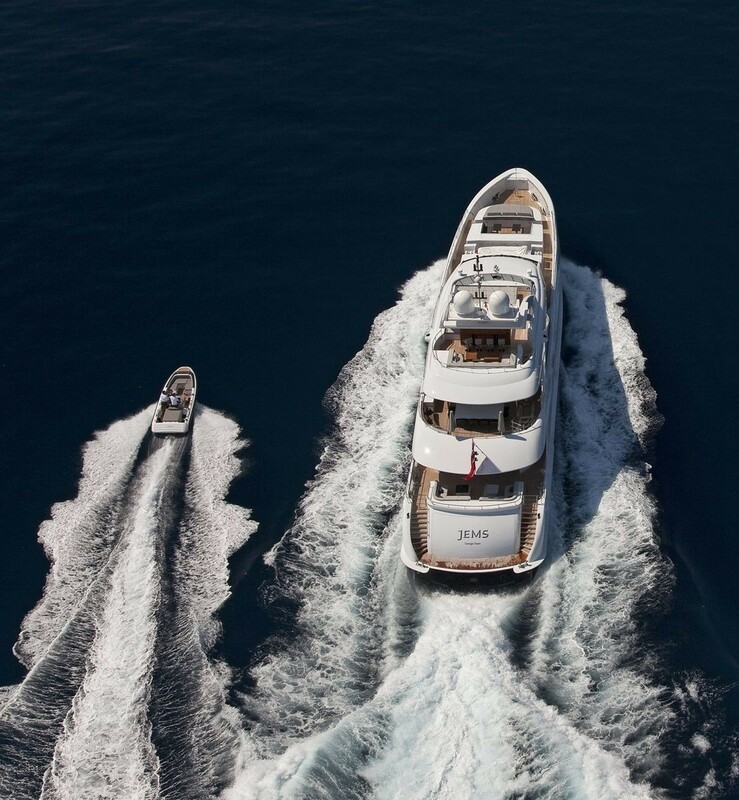 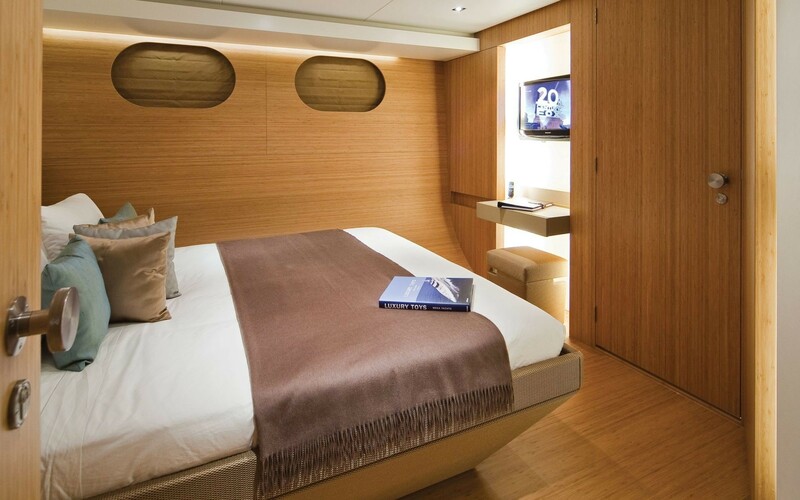 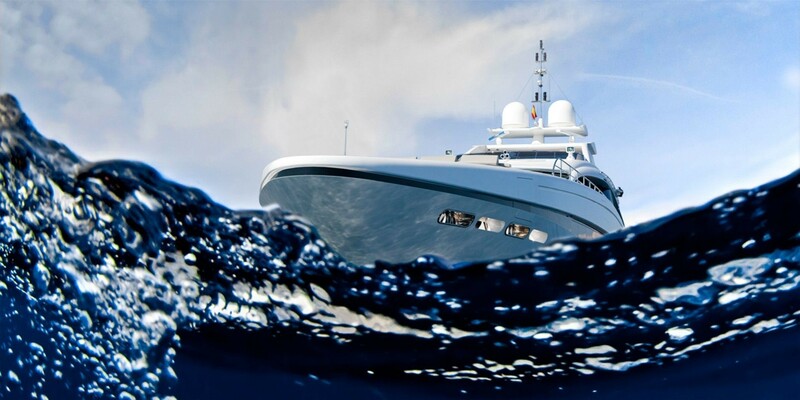 M/Y JEMS can sleep a maximum of 10 guests in 5 cabins - 3 doubles and 2 twins. 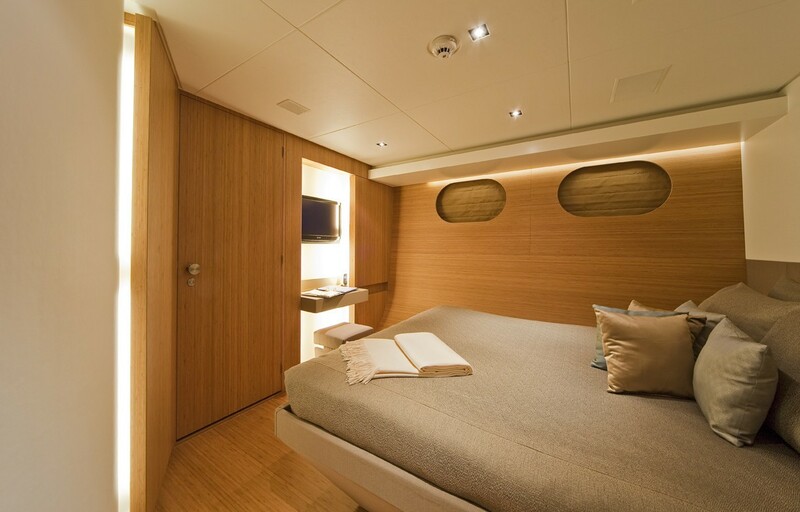 One of the cabins, however, is a clever convertible cabin which can be either 1 large VIP cabin or can be alternatively split into 2 twin cabins. 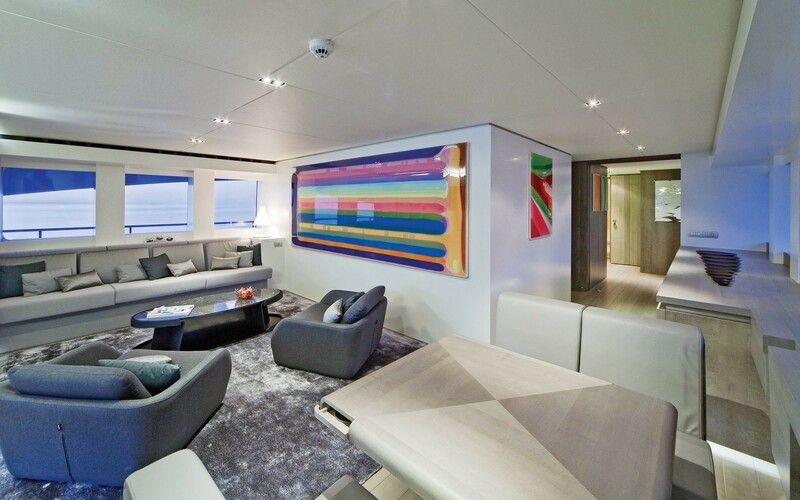 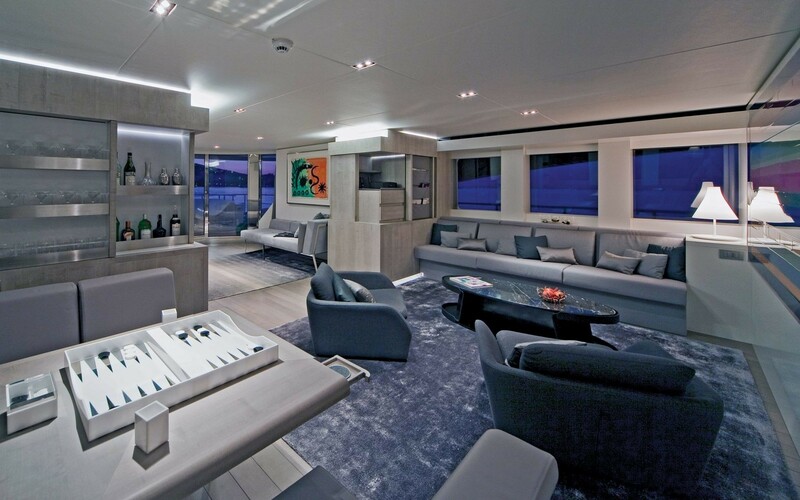 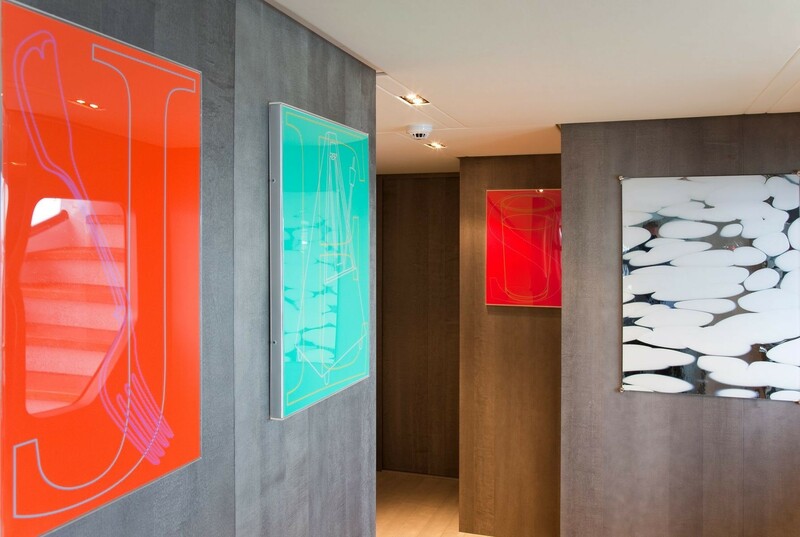 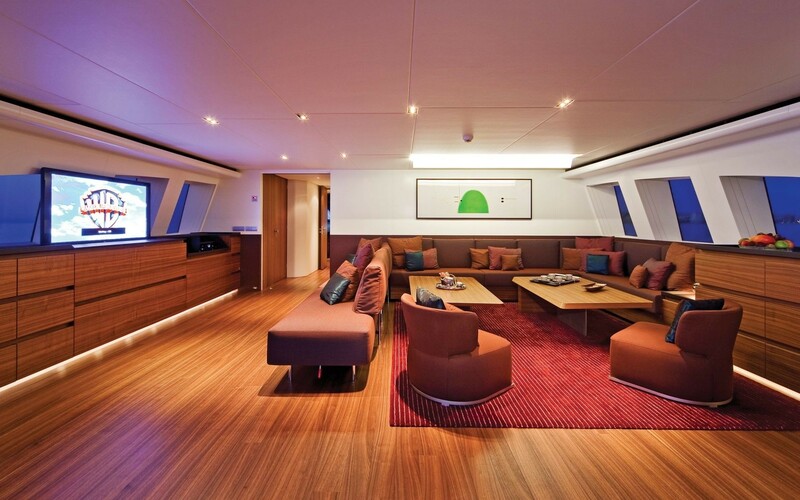 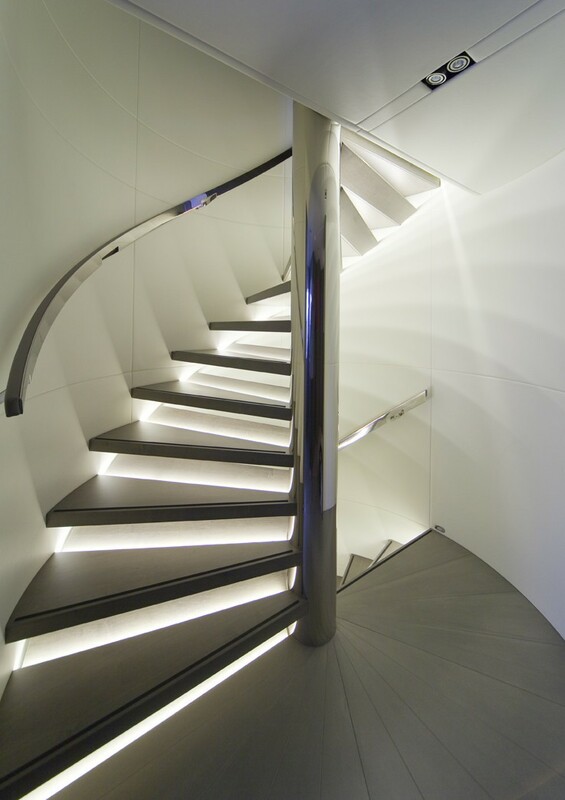 A unique motor yacht, yacht JEMS has an interior design (by Omega Architects) which tends towards ultra modern in style - with clear spaces a strong use of sunlight and simple natural, colourful and light tones. 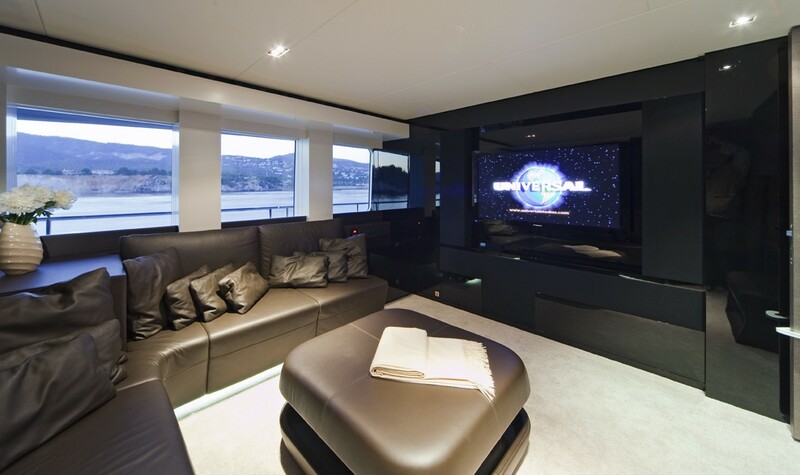 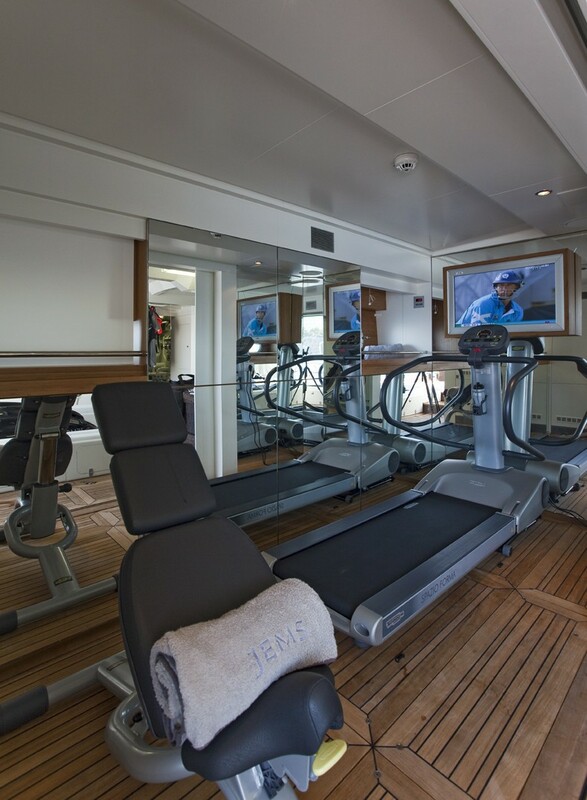 The yacht boasts state of the art electronic visual equipment throughout as well as Bose or Linn audio stereo equipment. 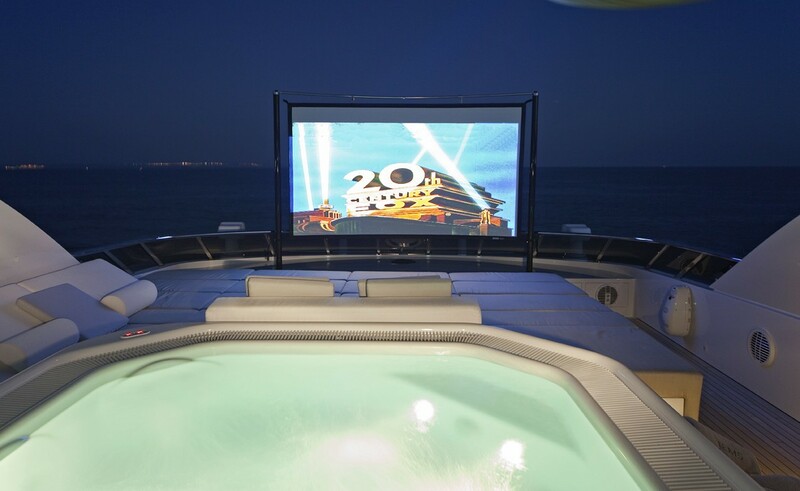 Her list of entertainment features includes a media movie room, an outdoor cinema screen on the sundeck and a Spa Pool pool for good measure. 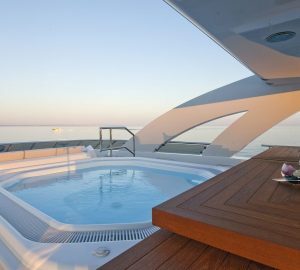 JEMS has a large volume interior as well as ample open spaces outside on her decks – which are great for either entertainment or relaxation. 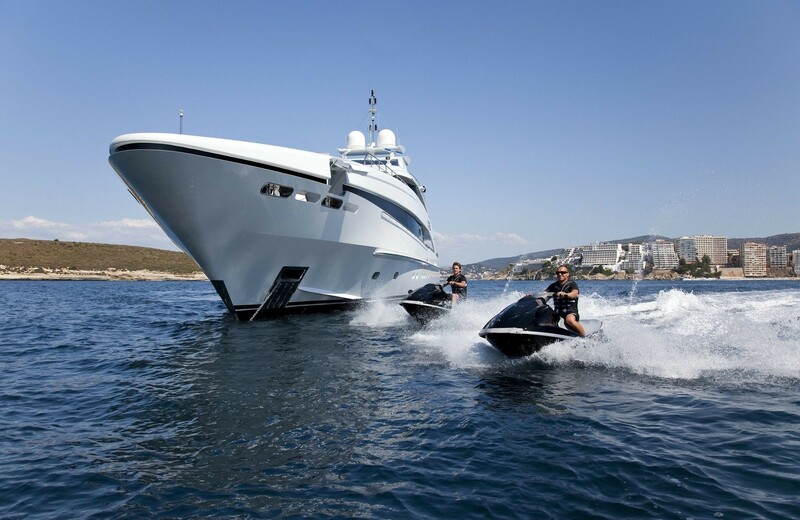 With a nice selection of water toys, guests are able to fully indulge in water sports fun from dusk till dawn. 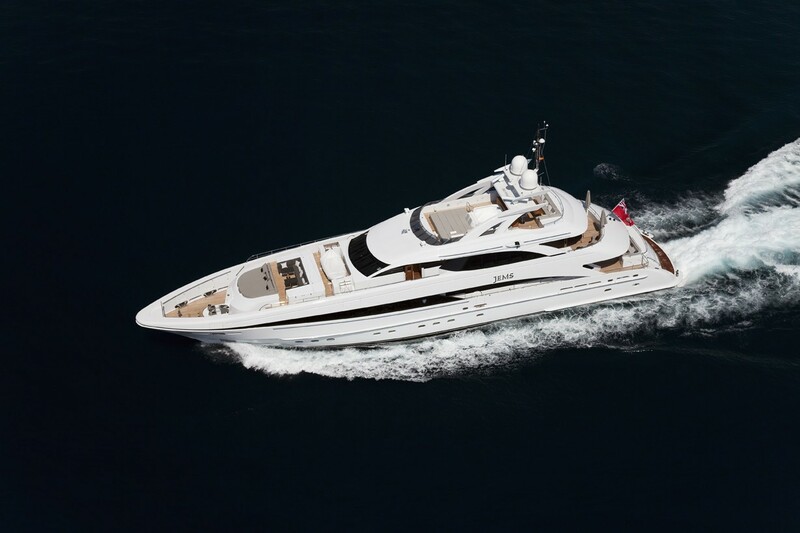 This Heesen 4400 motor yacht, with twin MTU 16V4000M90 engines and light aluminum semi-displacement hull, is capable of reaching a fantastic top speed of 25 knots, whilst she can also cruise at a very healthy 20 knots. 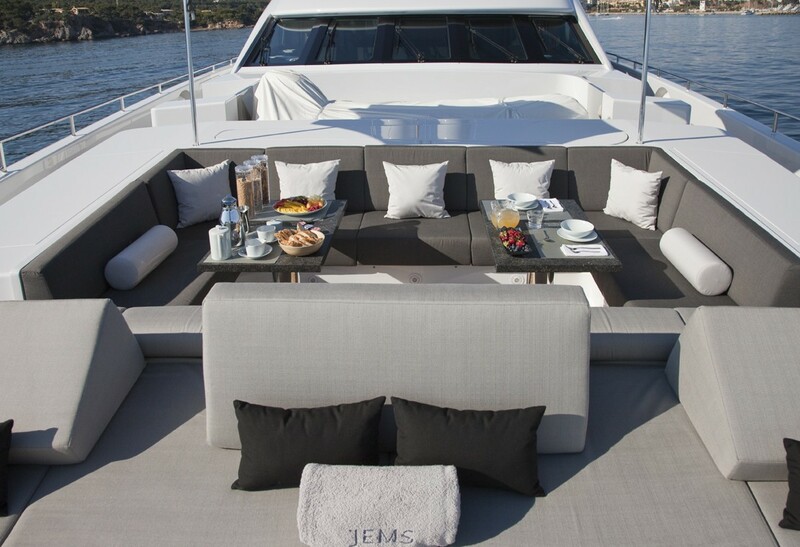 Jems's range is 1,000nm, at cruise speed, and her Zero speed, at anchor, stabilizers and tender garage finish off an impressive specification list of features and amenities. 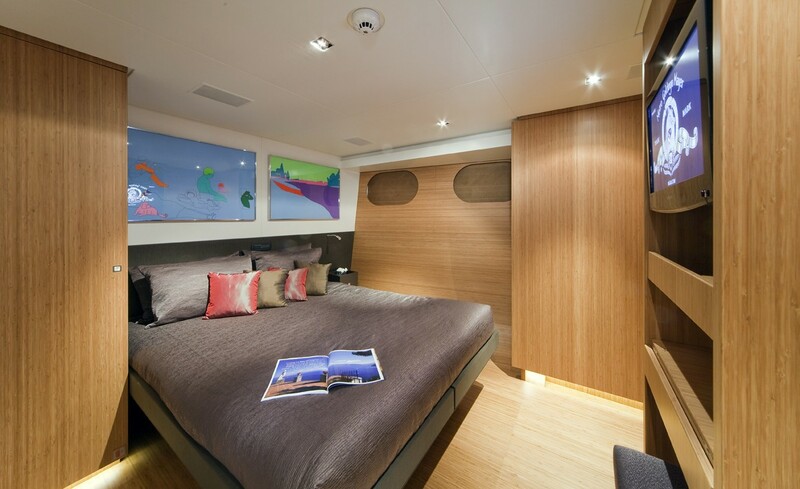 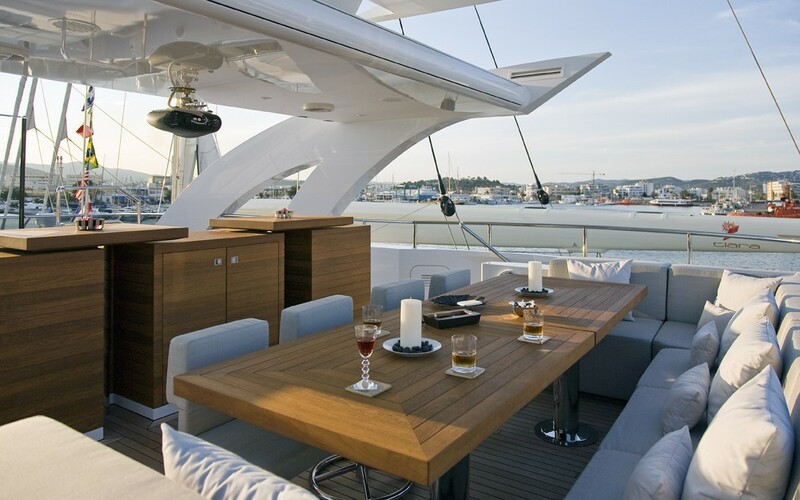 Yacht JEMS accommodates up to 10 guests in 5 cabins - 3 double and 2 twin, or 4 double cabins when converted to VIP format.